So, I know that by saying Part 1 this may be a super big haul..but really, trust me..it's not. It's just picture heavy. I like lots of pictures..I hope you do too! Remember you can click on anything to make it larger and I'll try to keep my words short and sweet. I don't really love Sephora because I feel like I can find a lot of the stuff cheaper elsewhere. What burns me the most is the huge price discrepancy between American and Canadian prices. 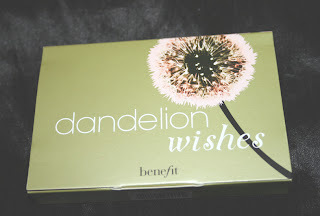 I remember having a Bare Escentuals item in my cart that was like $36 US and then $68 in the Canadian cart! ugh. No thanks. The reason I made this particular order was because I'm a super sucker for "value sets" and I really do think I got a decent value of the 2 sets I bought. 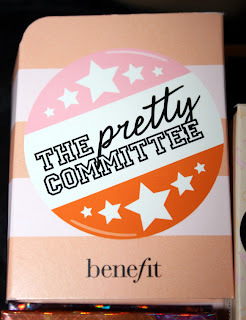 Today I'm showcasing the Benefit one I received...but first the samples. When you order from Sephora, you can choose 3 samples. Most of them are perfume and not really a lot of exciting things. A lot of men's samples. 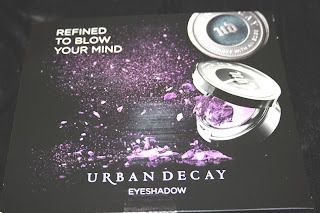 However, I chose this Urban Decay eye shadow card as I've never tried anything by Urban Decay. 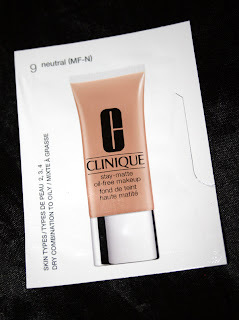 The second sample I chose was Clinique stay-matte oil free makeup. *shrug* I wasn't really interested in much there..so I thought I'd give this a try. 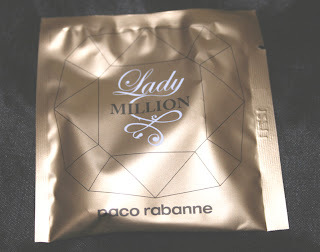 Lastly, since everything else was perfume I picked this one since it was basically the only women's fragrance available! 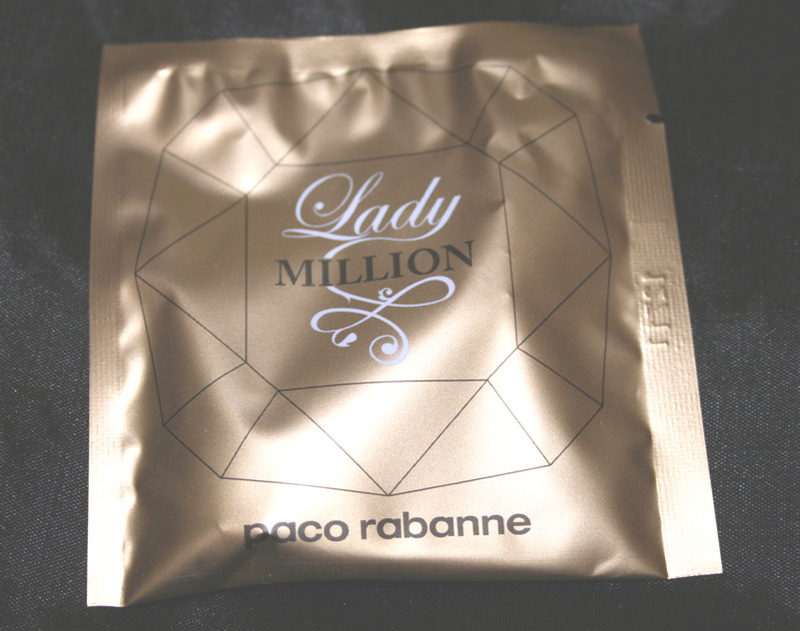 It's Lady Million by Paco Rabanne. 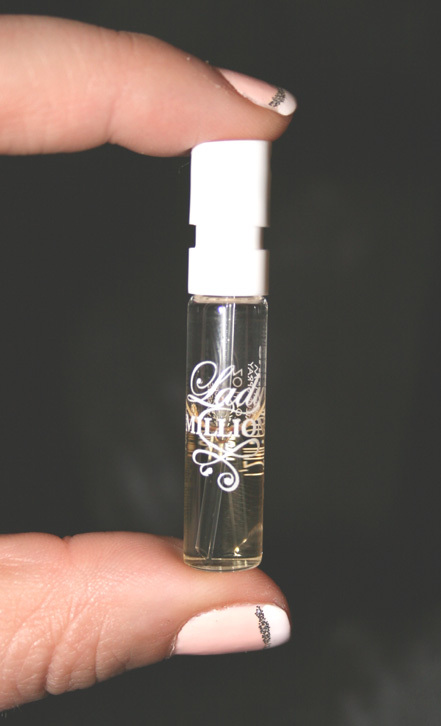 This is the itty bitty 1.2ml bottle. It's only half full. It's eau de parfum so the scent lasts quite awihile and it's pretty. It's a fresh woody floral fragrance. These are generous size samples. Dandelion Ultra Plush Lip Gloss is 6.5mL and smells like freshly cut fruit! I can't even think of which! It's very light and pretty smelling. 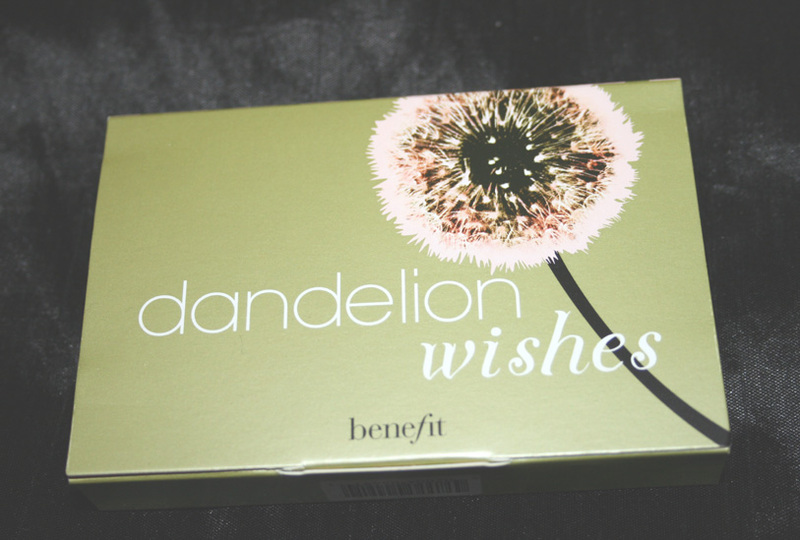 Dandelion brightening face powder is 3g. It's a very nice light colour. It's got a teensy bit of shimmer to it. This sample could last a bit, really! I don't think it would be a good blush for anyone unless you are very fair. But, I have tried it in the past as an illuminator and it was very fresh and pretty! It all comes in a pretty zippered rose gold makeup bag. 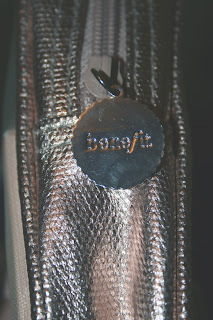 It's all in the details.. benefit on the zipper pull. 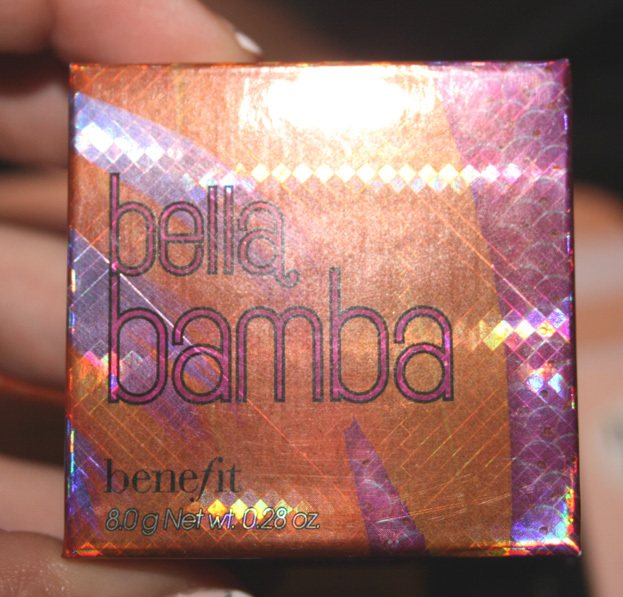 First is Bella Bamba, which is full size at 8 grams. 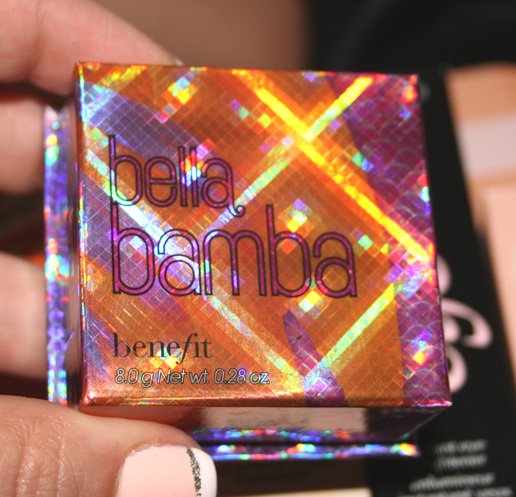 Pretty holo packaging. MADE IN USA. I'm easily amused. 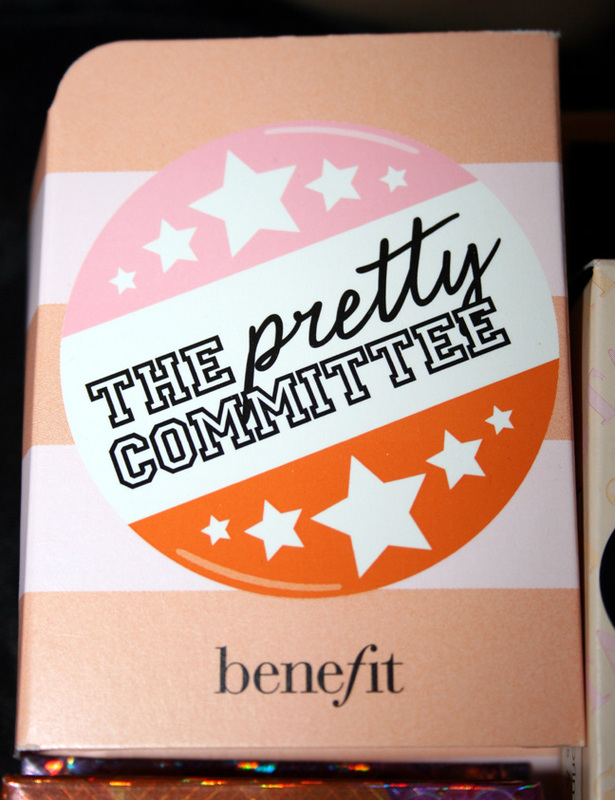 Just love the packaging! 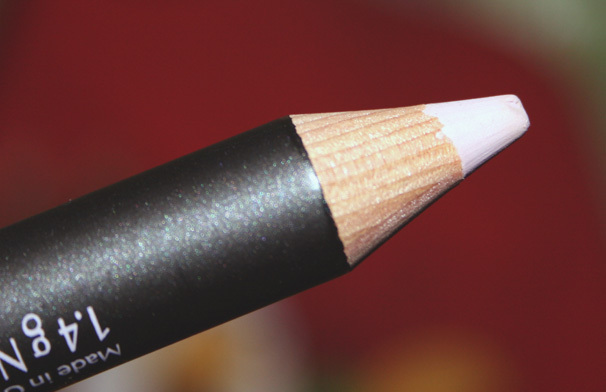 It comes with this cute wooden brush. 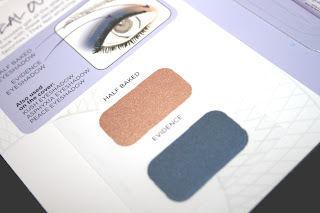 As you can probably tell I already swatched it. I think the colour would work on all skin tones. A lot of people don't really like the brush. I found it to work quite well. Here is a closeup...oooh pretty. 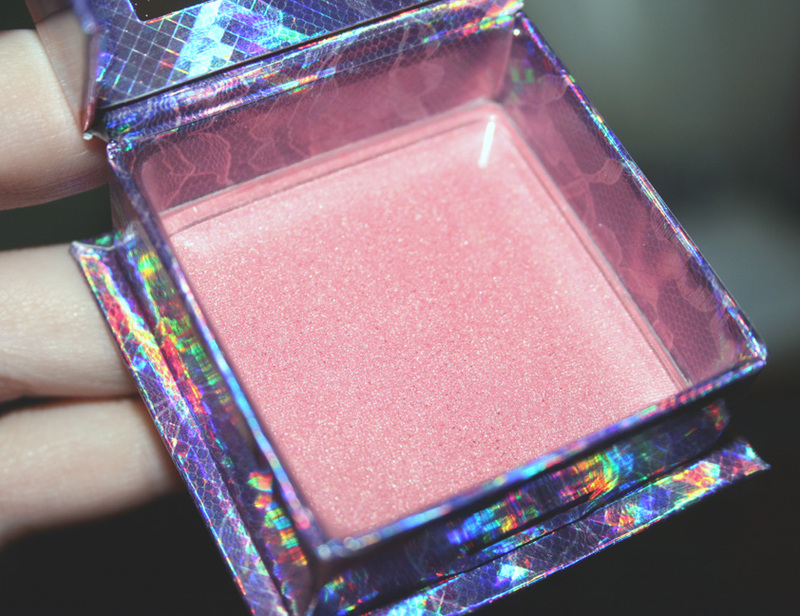 It's described as a 3d brightening pink face powder. 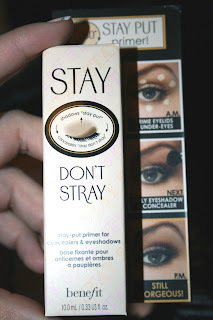 Next is Stay Don't Stray, full size at 10mL. MADE IN CANADA. This is a dual action primer to help lock on concealers & eyeshadows. I guess we'll see..? I've wanted to try this product, so I'm glad that it was in this pack. I saved a lot of money getting all this together! The top is a pump. 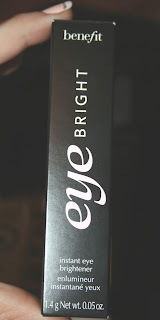 The next item is Eye Bright, a full size at 1.4 grams. MADE IN GERMANY. This is an instant eye brightener. I already have high brow which I love. Upon testing this one, while nice I prefer my high brow much more! It's a nice fat pencil. 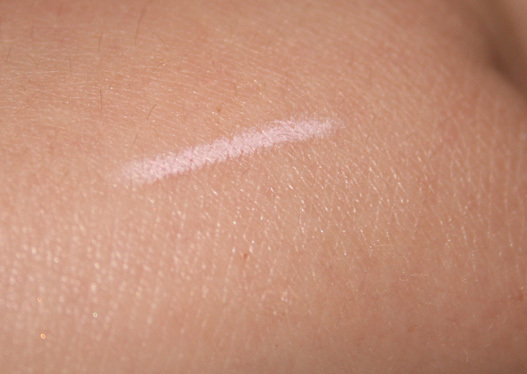 This is the swatch on my hand. 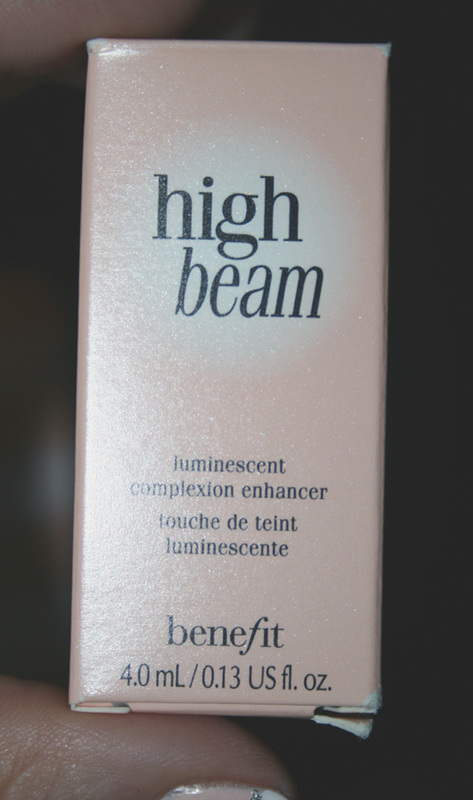 Last was a 4.0mL deluxe sample of High Beam. MADE IN FRANCE. it's a luminescent complexion enhancer. 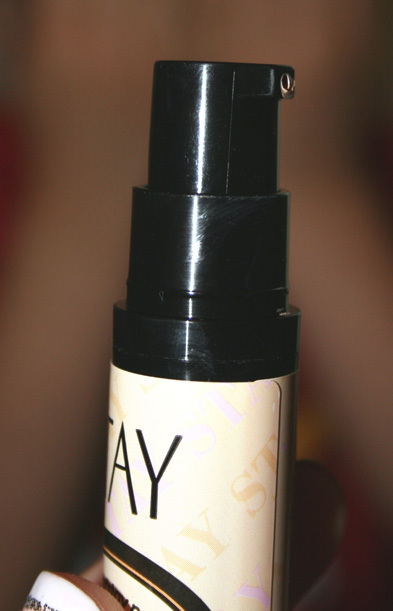 This is how it looks in the bottle. 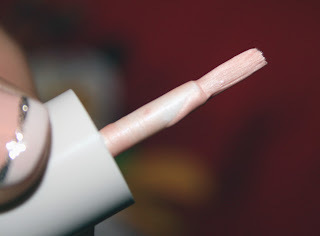 It's got a nail polish like applicator that I don't particularly care for. A lot of girls LOVE this product. I have to give it a chance. I only did a quick swatch on my hand, but my experience with products like this, is it just makes me look like I have dry skin. So, we'll see. That's all for now! Have you tried any of these products? I'll be back tomorrow with Part 2. :) Have a nice night. I shopped online, can you order online? I hope Sephora ships to your country! :) Have fun! 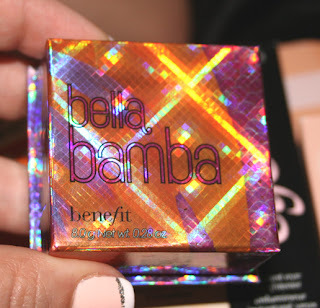 Bella Bamba *is* gorgeous!!! I went from having no blush, to blush overload lol. I'll definitely try the high beam a few times and see if I can figure out. I think the cha cha tint samples are in their new mini boxes..I'm so sad I missed out on their deal today..all 3 for $50 US. ugh..sold out in seconds. 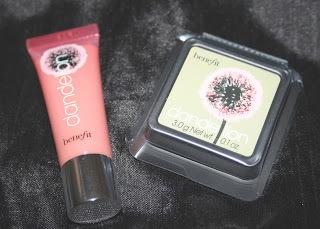 Yes, the little dandelion sample is super cute! I adore it. Not sure what colour payoff I'll get with the "blush"
Great haul love ! 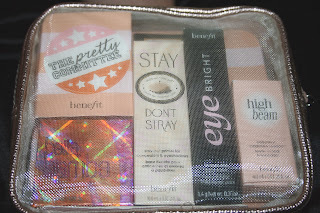 I was looking at picking up that kit when i was in sephora the other week ! Awesome deal wasnt it ! THanks hon! It's a REALLY great deal. 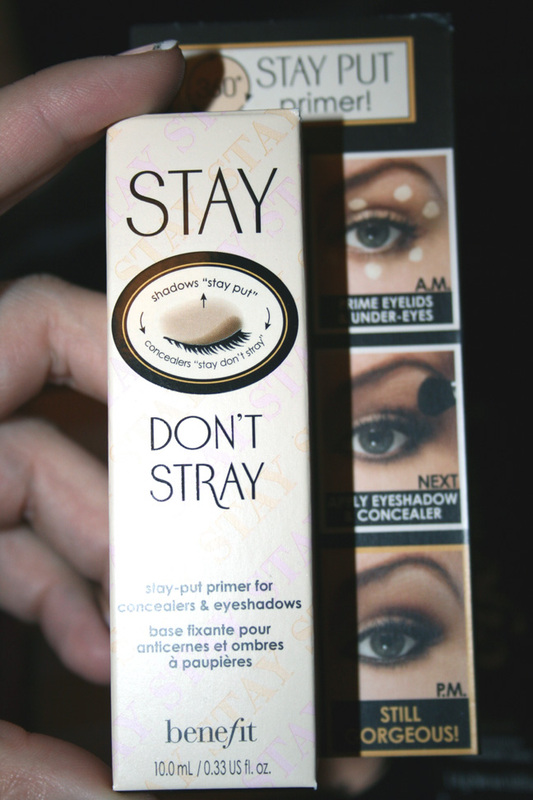 I wanted to buy the Stay Don't Stray anyways, so it was practically getting the other stuff free! 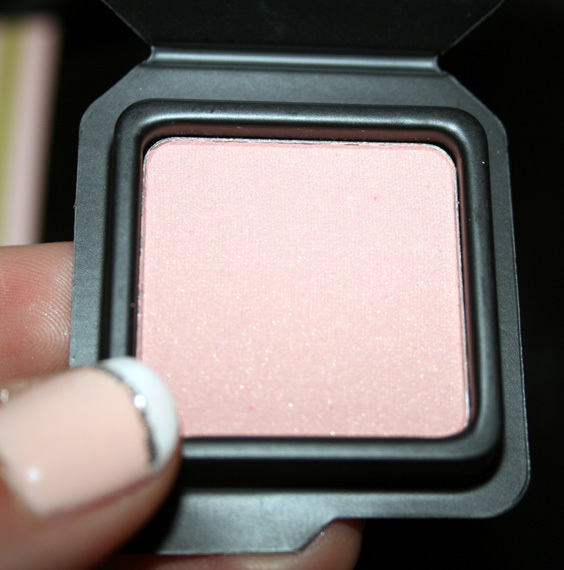 I think the blush is like $32 as well. I LOVE highbeam! this is an awesome haul- the blush sample you got will last you ages, trust me! I have one as well (in bella bamba) and I've barely made a dent in it and use it all the time. Yes, I saw your post...isn't it sooo cute! :) Did you get a lip gloss with it as well? I did notice that. :) I was born in Swidnica..I didn't notice what town you are from! Thank you so much for coming by and following! 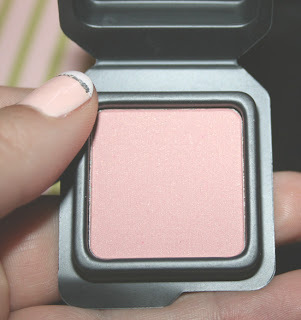 :) It's a gorgeous blush and it would be totally suitable for every skin tone! 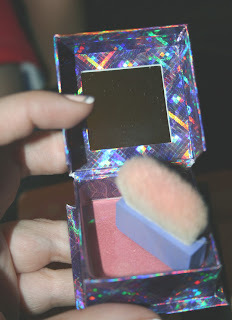 The kit is totally worth getting since it nearly pays for the blush itself!